In celebration of the Summer of 2018 in Occoquan, the masthead for this season is devoted to some of the many shops that can be found in the town. BAR-3 Enterprises thanks LaVerne Carson for providing the historical town information so that it could be included below. Located at 407 Mill Street, the shop is owned and operated by Morteza Faraji, who was born in Ardabil, Iran. 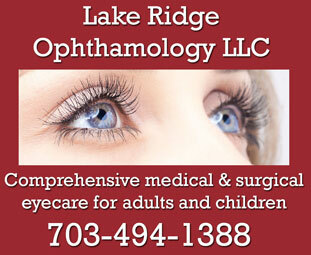 The shop has been in operation in Occoquan for several years. Morteza travels to Iran twice a year in order to visit family and handpick rugs that he sells in his store. He chooses rugs based on quality and uniqueness. Since he handles his own importing, he is able to provide you with the absolutely best prices. Built in the 1930's by R.S. Hall as a modern undertaking business and ambulance service, the original brick section of this building at 309 Mill Street survived the rising waters of the Occoquan River from Hurricane Agnes in 1972. A group of local artists recognizing the need for studio space and the community’s need for an art center set up nine studios where the former funeral home had once been. The building’s basement still contained mud from the floods and undaunted, the artists cleaned out the basement and officially opened April 1, 1977. They displayed their work and taught art classes, instructing 80-100 students per week. The play on words, “The Artists’ Undertaking”, became the name. In 1982, the current first floor gallery was created to display and sell the artists’ work. Stories of floods and ghosts abound from those early years. In 1984, the basement studios and classes were discontinued, but the artists continued the first floor gallery. Today, 17 established local artists offer original art and crafts and staff the gallery daily. Media include watercolor and oil paintings, etchings, photography, drawings, mixed media collage, pottery, fused art glass, turned wood, and eggshell carving. Commissions are welcome in all media—for example, paintings of special places, unique pieces of jewelry, digital restoration of old photographs, or the creation of unique objects for display. The gallery is open seven days a week from 11 AM to 5 PM, and its artists enjoy meeting visitors and answering questions. 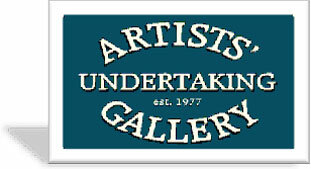 The Artists’ Undertaking Gallery offers quality original works at reasonable prices directly from the artists themselves. Located at 310 Mill Street, it is an artist-owned cooperative gallery and gift boutique that showcases the work of over 25 local artists. They have create a kaleidoscope of collectibles and gift items including photography, original fine art and prints, one-of-a-kind glass items, jewelry, wood work and textiles. 313 Mill Street has been the home of unique, fun, and wacky gifts since 1998. Elements has everything from pottery to Himalayan lamps to fun file folders for storing your office papers, making Elements one of the jewels that can be found in Occoquan. As Marla Cook, the shop owner puts it, "In 2004, a cute shop with a great front porch and bay windows came available in a charming town near us named Historic Occoquan, Virginia. It had my name written all over it and I had to have it!" That shop, located at 305 Mill Street, is an artist outlet for Marla who has been painting folk-art, making wreaths and refinishing antiques for over 28 years. 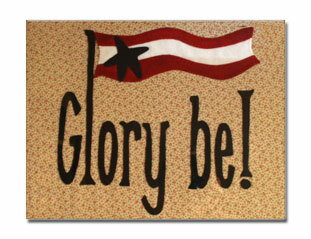 The shop became Glory Be and it has lived up to its name. They are open 7 days a week with over 20 crafters, a wood carver, a soap maker, handmade table runners and pillows, stitchery, silver and pewter and so much more, plus of course, all their fabulous antiques, vintage books, hand painted furniture, chairs and other items by Marla herself!! They are definitely a place to visit and have a good time. They are really good at making people smile. The building was constructed in 1984. Prior to that, in the early 1900s this was where the Ellicott Motor Company, which sold gasoline, tires, and other automobile services was located. It was also the birthplace of telephone service in the area starting in the early 1940s. It started as Lorton Telephone Company, was bought out circa 1940s by Central Mutual, changed its name to Commonwealth in 1978, and was bought by Contel in 1972. The original part of the building located at 302 Mill Street was built in 1860 with additions made in 1867, 1927-32 and 1979-80. Once W.R. Selecman Dry Goods, Groceries, Liquors & General Merchandise, it then became Leary Lumber & Hardware which provided the town and surrounding areas with building supplies for many years. Circa 1971, it became Blackbeard's Restaurant, specializing in seafood and their signature "hush puppies”. After a devastating fire in the mid 1980's the interior of the building was refurbished and then became one of the finest Quilt Shops in Northern Virginia. When you step inside, be sure to look up at the original 1860 tin ceiling and the red counter is original to Leary Hardware. Today, the Golden Goose is closed. The owners of this landmark shop have retired and are missed by many. Construction dates this building to the 1860's. During renovation in the early 1970's, a tin Civil War cup was found resting on the studding, left there during the original construction, sealed in the walls, untouched for nearly 100 years. This was once the Occoquan Drug Store which opened in 1908. It was owned by Dr. Frank W. Hornbaker, who was a medical doctor, pharmacist, movie house operator, and he raised prized chickens. It is now the Hawthorne House, and has been serving brides and stationery connoisseurs alike for over 28 years. It was established in 1984 by Diane Hawthorne Boli, a Fine Arts major and lover of all things paper. Since then, her goal has always been to provide fine paper goods along with exceptional customer service to all. Hawthorne House offers a wide range of stationery, invitations, and gifts from high end & chic to beautiful & budget-friendly. They specialize in custom wedding invitation design. So whether you are in need of an entire wedding suite or a simple greeting card, they would love to assist you. Diane is retiring at the end of June. This incredible shop is another that will be deeply missed. The Irish Collection wa one of the unique shops of the River Walk Building. Built in 1990 and designed to look Victorian, this was the original site of the Occoquan Shipyards. During the 1800's, Occoquan had one of the largest shipyards on the Potomac. Sternwheelers, side wheelers and three-masted schooners were built in this area and launched in the Occoquan from the 1870's through the early 1900's. In 1896, the Corp of Engineers listed the arrival and departure (in Occoquan) of 808 barges and flatboats, 9 sail boats and 614 vessels with less than a ten foot draft. The Irish Collection opened at the River Walk in 1990, and began as a small corner of the Clifton Gallery. It was owned and operated by local artist, Ellen Jones. Originally a collection of Irish art and crafts, the corner grew to include the finest in Irish jewelry, clothing and crystal. Unfortunately they are closed and now part of the history that makes up Historic Occoquan. HairStudio 14 is a boutique gallery hair salon located at 125 Mill Street, Suite 14. They feature Aveda hair care, make up and skin care. They also carry Eufora hair care and Body care. HS14 is a comfortable welcoming atmosphere where spectacular hair styling takes place. This is where the webmaster of HistoricOccoquan.com gets his hair cut. They depart from Rockledge Manor for a 2 hour Ghost Tour starting at 20:00 Hours (8:00 PM) sharp and show people the colorful, spirited history behind Occoquan. Established in 1976 at 306 Mill Street by founder Jerry Perdue, Jerry’s Occoquan Jewelers has evolved into a fine jewelry boutique passionate about its commitment to quality, value and enduring fashion. Proprietor Brenda Root Monn ensures impeccable customer service and assistance in selecting the best jewelry accessories to coordinate your wardrobe, figure and fashion sense. With a selection and quality that is unrivaled by the "mall jeweler", it prides itself on excellent customer service. Unlike many other stores you may frequent, a visit to Jerry's Occoquan Jewelers means a warm, welcoming atmosphere. 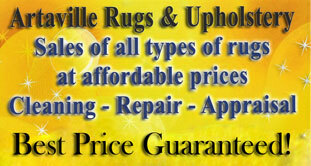 Personal attention, outstanding design, knowledgeable advice, fair pricing and a smile are what you can expect. You deserve nothing less from your jeweler. On this site originally was the Alton Hotel which had been a popular hotel for people who came to town to have their corn & wheat ground into flour, as well as for drummers, travelling salesmen and entertainers. It then became the home of Mrs. J. Hood Weedon who on an August day is said to have been burning trash which was spread by gusty winds to adjoining buildings. The fire also burned down big trees that formed an arch over Mill Street and spread as far as Commerce Street and across Ellicott Street to 402 Mill. It is referred to as the Great Fire of 1916. Mr. Wayland built the current building and opened his grocery store in 1931. One can see his name proudly displayed on the front of his building. Later, the building became Jennings Drug Store. The original fixtures of the drug store still line the walls of the existing shop. At 310 Mill Street, Suite C, Occoquan Spices, Teas, and Sweets features a wide selection of tea, Virginia made products, cooking spices, seasonings, and much more. Definitely a place to stop by. Located at 402 Mill Street, they offer an extensive line of home accessories and gifts including reproduction furniture, wrought iron, tin lighting, candles and candle pans, wreaths, stationary and cards, framed prints and seasonal decorations. Note the mounting step between the street and the sidewalk – it was used in days gone by as an aid to mount horses or for ladies to step from their carriages. On this site in the 1800’s was a 22 room house/hospital belonging to Dr. John Powell – it was destroyed by the 1916 fire. The present house was built in 1919 and remained a private residence until the 1980’s. The Magnolia and the Red Maple on the corner of the lawn have been designated champion trees by Prince William County. Keeping the tradition of a riverside town, RiverShore Charters launches from the town docks and provides opportunities to enjoy the scenery along the Occoquan River all year round. As the season changes then so does what you get to see. Eagles, ospreys, herons are just a few of the bird types you will spot. Many forms of wildlife can be seen along the banks of the river. Tours are offered every Saturday and Sunday from 12noon ‘til 1 hour before dark. Sincerely Yours Stained Glass Studio (SYSGS) opened in the Town of Occoquan in the Fall of 1992 and moved to its present location in the Fall of 2006. This location, 214 Commerce Street is a brick building that was built in 1988. It was the site of the Slack Funeral Home (1920s & ‘30’s). Undertaker Slack’s hearse was a two-horse carriage (similar to a stagecoach) with black windows on both sides and was open from the back. Carl Eike, Jr., born in Occoquan/Woodbridge area, was quoted in 1979 describing his memories of Undertaker Slack “He had two old boney horses and a rickety old hearse but I guess it made no difference to the dead person”. Slack’s wife was a milliner. One resident remembered that she carried the prettiest hats around with lots of ribbon and lace. 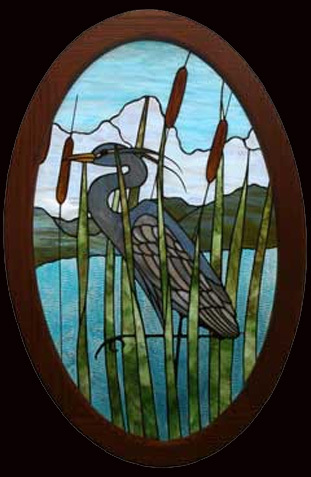 While in Occoquan, SYSGS has earned a regional reputation for its stained glass expertise and was responsible for the restoration of 16 stained glass windows for the St. Mark's Fellowship Hall in Vienna, VA. Classes are taught regularly on a one-on-one basis that provides personal attention and quality learning in a friendly setting and an “artsy” atmosphere. 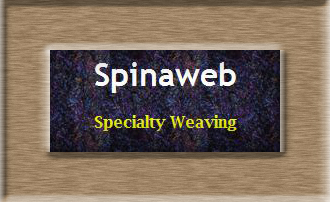 Located at 305 Commerce Street, SPINAWEB is a specialty weaving shop operated by The Arc of Greater Prince William as part of their adult vocational program. Nestled in the quaint craft community of Occoquan, Virginia, SPINAWEB is a living symbol of the dignity and worth that citizens with developmental disabilities bring to our nation. The shop opened in 1982 through the encouragement of community residents and has a good reputation for quality and reliability. Weekdays you will find weavers on site demonstrating their craft and participating in community life. The Occoquan Methodist Church once stood at this site but was completely destroyed in the Great Fire of 1916. The present structure was built in the 1950s. Guitars are the passion of shop owner Justin Knott. He's been tinkering around with them since the age of 15. The goal of his shop, located at 205-C Union Street, is to help you get the most out of your guitar. Whether it be a simple setup or a complex neck reset, he can get your guitar playing like new again. At Union Street Guitar Works you can be sure that you are dealing with someone who is committed to your satisfaction. Justin is always happy to answer your questions and provide the finest service possible. All repairs are guaranteed, so if you are not 100% satisfied with a setup or repair, just bring it back! The Occoquan Post Office played a significant role during the Civil War since main shipping points such as Washington and Alexandria, were blockaded. Through an informal gentleman's agreement, packages and letters found their way north and south through Occoquan. The current Post Office was built in 1969. According to records, there has been a post office in Occoquan as early as 1808. Today the Post Office at 202 Mill Street is well known to all Occoquan residents as are the people who work there. Since mail is not delivered to homes or businesses in Occoquan, we have to visit the Post Office to receive our mail. This quant tradition not only reinforces the small town feeling but provides a great opportunity to meet other residents. The barnlike construction of this building suggests its original use - lumber storage for Leary Lumber Company. When the lumber company outgrew the building, it became home to the OWL (Occoquan, Woodbridge, Lorton) Volunteer Fire Dept. In the early 1970's OWL moved to the larger space in Woodbridge and the building became home to the VFW Post 7916. The Prince William County Tourist Information Center, dedicated in 1987, was originally the Occoquan Town Shed and was placed in the middle of Cooper's Alley. It is thought that Cooper's Alley was so named because a Cooper Shop (barrel maker) was once located in this area of Town. Today it is a gateway into Prince William County and within walking distance to the unique and special shops found in Historic Occoquan. The Visitor Center is open Monday through Sunday, 9:00 AM – 5:00 PM. Of course, Historic Occoquan is open every day of the week starting and finishing at various times depending on the shop, restaurant, or business. Occoquan shops are all independently owned and often you will meet the owner!